Discussion in 'Baja Mexico Fishing Reports and Discussion' started by Axel at Hotel Buena Vista, Mar 8, 2019. Here on the beautiful East Cape of Baja, the air and water temperatures are rising and winds are beginning to subside. We have had a few boats out this week but prime fishing time is right around the corner. Boat crews at Hotel Buena Vista Beach Resort are busy readying our fleet for another spectacular season. We thought some of our guests, especially our first time visitors might like to get to know more about our fleet and crew members. Today, we would like to introduce you to “The Alegria”. Alegria means joy, happiness, delight, pleasure, or cheer; all of which you may experience while aboard. It’s a 29 foot Phoenix cruiser, powered by twin 270hp turbo diesel engines. Alegria’s Captain Juan Garcia and Deckhand Giovanni Garcia have spent their whole lives doing what they love the most…..fishing. Juan is a first-class professional captain with more than 37 years of experience here at Hotel Buena Vista. He first started as a Captain on a superpanga for 22 years, and over the last 15 years has been the Captain of the Alegria. Deckhand Giovanni Garcia was also born here and has spent his whole life in the sport fishing industry. He has learned from one of the best and has done very well working with Captain Juan aboard the Alegría, fishing the same waters they grew up on. Over the years, the Alegria has built a reputation that has made it one of our most requested crew teams. 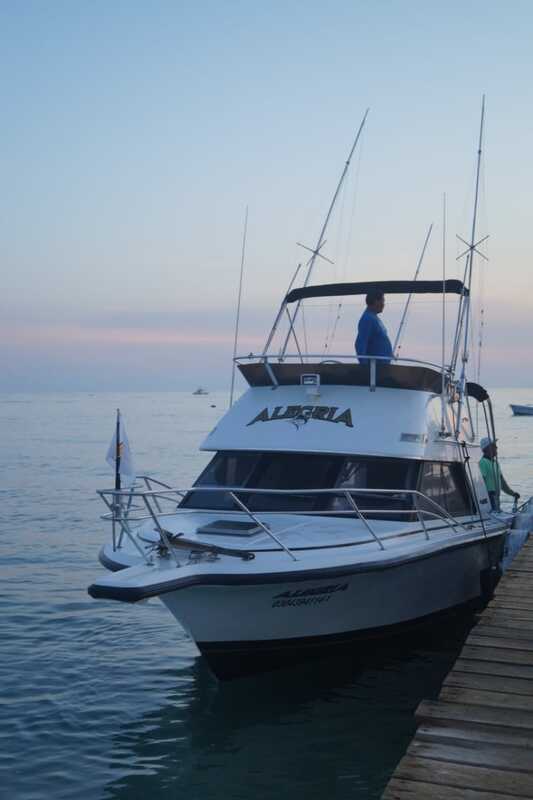 The Alegria team has participated in, and placed well in several sport fishing tournaments having come close in the Bisbee and winning, taking first place overall in the prestigious “El Debate” tournament in Topolobampo Sinaloa Mexico. Whether you are looking for bill fish, dorado, wahoo, tuna or bottom fish or if you’re fly fishing, you are in good hands with this experienced crew. twotrack, kbray001, MinnesotaPhats and 3 others like this. Are you guys having any specials for the next couple months?? I’m looking at May with my son and wife. Let me know. Thanks. Axel, my brother Denny is currently setting up a father son trip for six of us including himself. We are going in July. Should have details this week. I know July is hot and hope the fishing is hotter. Either way we are all super excited. Are you going to do this report for all your boats? That would be cool! Great idea introducing the crews!! Thank you. Cant wait to get back to the East Cape.